It is hard to believe there are just a few more days until the holidays, I feel like the lights and festivities have just begun! I hope everyone is completely prepared, with all your shopping done – and you are just relaxing this weekend…right. I know how it goes, it is never that easy. All I have to say is I am so glad I started making jam last spring, it really made my gift giving a lot easier this year. Of course I didn’t make nearly as much as I usually do – but I still made enough to make it through. my favorites for you – and all of these are easy enough to bang out in a day – and you still have 5 days until Christmas! 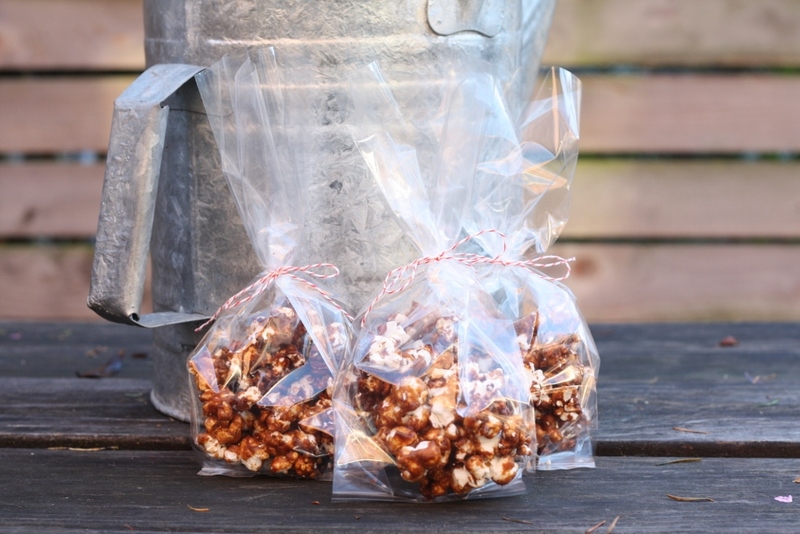 And now for a new one to add to the list – this Maple Caramel Corn that we made at The Pantry Holiday Gift Making class – with kids. We couldn’t stop snacking on this, it is quite addicting. Boy would I be happy with this as a gift. I wish all of you a very happy holiday – I hope you spend it with the people you love, and with food that you have been craving. And most of all, I hope you can relax just a little…that would be the best gift of all. Preheat the over to 250 degrees. Line a rimmed baking sheet with parchment paper. Heat the oil in a 3-quart saucepan on medium-high heat. Put 3 or 4 popcorn kernels into the oil and cover the pan. When the kernels pop, add the rest of the 1/4 cup of kernels in an even layer. Cover, remove from heat and count 30 seconds. Note: this method first heats the oil to the right temperature, then waiting 30 seconds brings all of the other kernels to a near-popping temperature so that when they are put back on the heat, they all pop at about the same time. Return the pan to the heat. The popcorn should begin popping soon, and all at once. Once the popping starts in earnest, gently shake the pan by moving it back and forth over the burner. Keep the lid slightly ajar to let the steam from the popcorn release; this makes the popcorn slightly drier and crisper. Once the popping slows to several seconds between pops, remove the pan from the heat. Coat a large mixing bowl with nonstick cooking spray, and transfer the popcorn from the pan to the bowl, taking care to pick out and discard any unpopped kernels. In a medium saucepan, whisk together the maple syrup, brown sugar, corn syrup, butter, salt, spices and water. Bring to a simmer over medium-high heat. Continue to summer, whisking often, until the mixture reads 250 degrees on a candy thermometer, about 3-4 minutes. Immediately remove the pan from the heat, and whish in the baking soda and vanilla. Quickly pour the hot caramel over the popcorn. 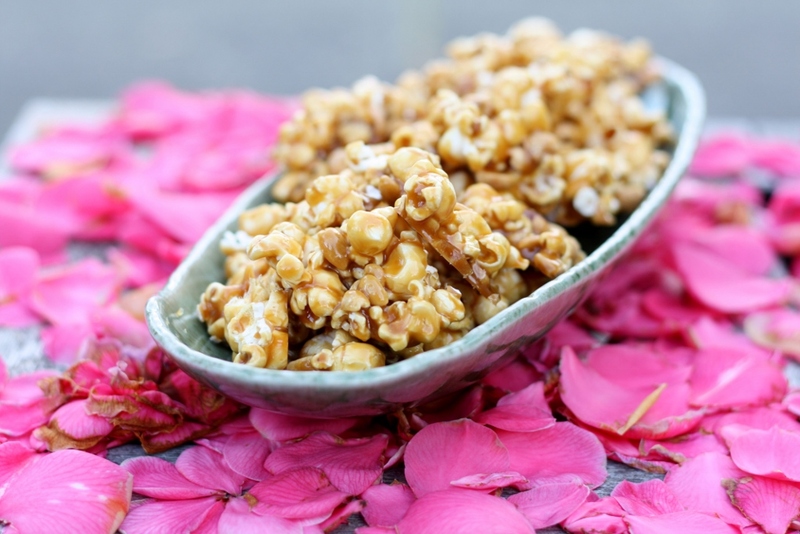 Use a rubber spatula to gently fold the caramel into the popcorn, taking care to distribute it as evenly as you can. Transfer the mixture to the prepared baking sheet. Bake for 1 hour, stirring and turning the popcorn with a spatula every 20 minutes. Remove from the oven and sprinkle lightly with flaky sea salt. Place on a cooling rack for 20 minutes. Gently break up the popcorn and serve. Keeps in an airtight container for up to 5 days. Are you ready for the holidays? My holiday is long gone, and I am still not ready. Today my plan was the take the day off and catch up on some stuff – but unfortunately the weather got in the way, and with the girls only at school for 3 hours – I was not all that productive. We woke up to snow, and in Seattle, that means either no school, or a 2-hour delay. Ok – so instead of working on my stuff, I want to help all of you. It is the season of giving, and whether you want to make something or buy something – I am offering up suggestions. Now – I will be honest – I love all my jams and jellies like children – they are all special in their own way – but I choose one that I thought was just a little extra special. Seriously though, you can’t go wrong. 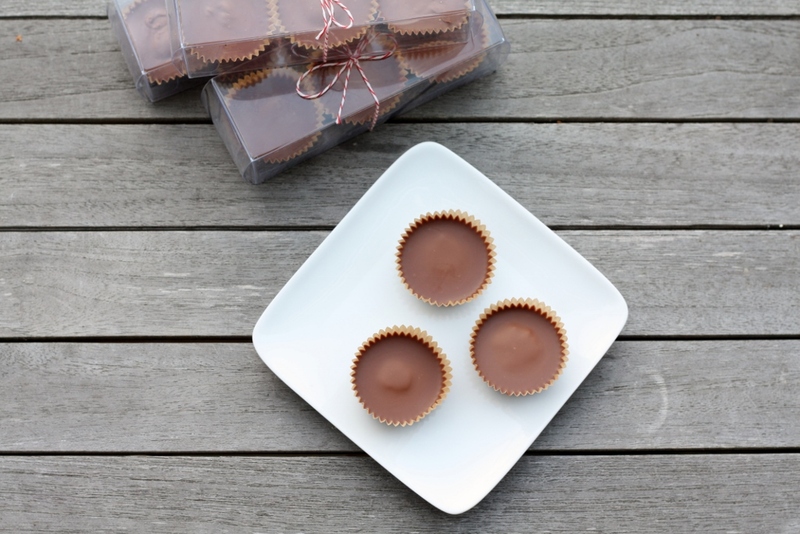 And now I have one more to add to that list for next year – the Milk Chocolate and Almond Butter Cups that we made at The Pantry Holiday Gift Making class – with kids. 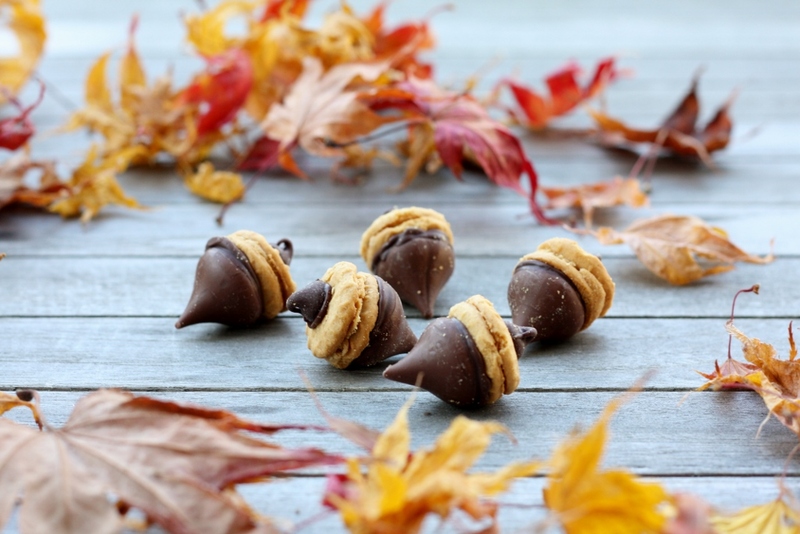 These are definitely an extra special treat – and for those people allergic to peanuts – have no fear – they are even better made with almond butter. So – hang in there, just another few days to go – but you have an entire weekend to all your last minute shopping and baking. HAVE FUN!!! Combine the almond butter, vanilla extract, butter, salt and powdered sugar in a small bowl. Mix well. Melt the chocolate in a microwave (30 second intervals and stir) or a double boiler. While the chocolate is melting, line a mini-muffin pan with 36 wrappers. Place 1 teaspoon of the almond butter mixture on top of the melted chocolate then cover the almond butter with more melted chocolate. Place the pan into the refrigerator to set. 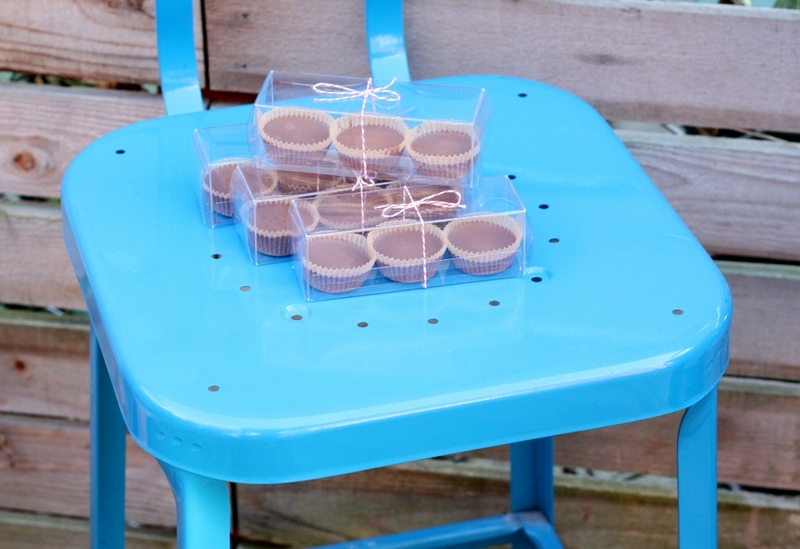 Store the almond butter cups in a well-sealed container in the refrigerator for up to two weeks. I am off on another adventure. I am hoping that this one is even better than the last one. India was quite an experience. It was a place that I have been fascinated with for years. I knew that eventually there would be a need for me to go there, but I really had no idea what I was in for. Whenever I travel anywhere – it is always important for me to connect with the food. It started in college when I travelled and I have continued that tradition. Supermarkets are my museums, and finding just the right specialties of the region is what I am after. When we were in India, we had a free night for dinner. I didn’t want to go to a fancy restaurant, or someplace at the hotel – I wanted to experience some good local cuisine. Fortunately at work, there are plenty of other people just like me, and when you work for a global company where people are always travelling, you can get some really good recommendations if you use your resources wisely. 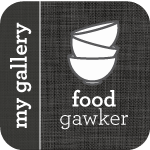 There is an alias called “Food & Wine Enthusiasts” where there are over 1000 foodies just waiting to give you their thoughts and preferences on food and wine. I sent a mail to the alias, and got exactly what I was looking for. The restaurant actually had a website, although it pretty much just explained their safety precautions in cooking. It was a vegetarian restaurant, so I felt safe about my seafood allergy. The restaurant was in the old part of Bangalore. It was actually an old house with 2 different restaurants inside. There was a snack section, an a-la-carte area, and then a set menu where they just bring you food. People hardly spoke English there, and so it took us a while to figure out that we were standing in the set menu area – we kept asking questions about the menu, and they kept saying “ALL”. Finally we had figured it out. When we asked how much it was – they told us 175 Rupies. That equates to about $2.80. How could we say no? We were served bottled water, soup, curries, breads, rice dishes – it went on and on, and even bananas and ice cream for dessert. It was a feast – and everything was absolutely delicious. 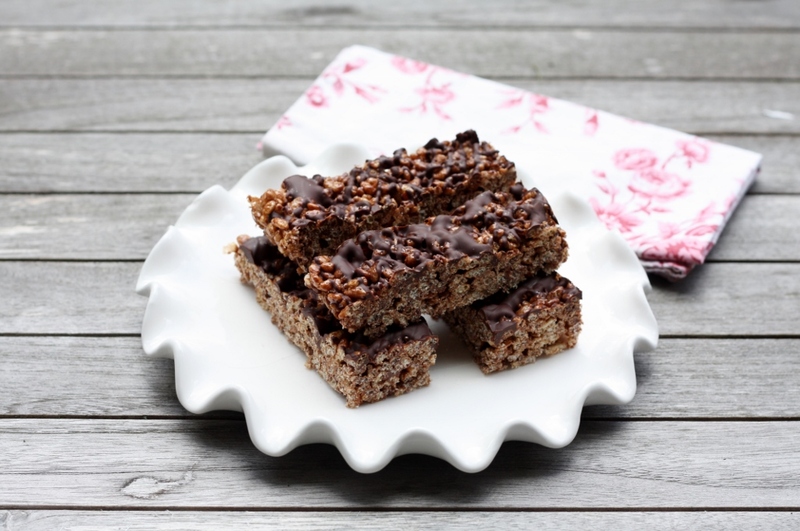 When I came home, I was craving simple food – and my girls were craving sweets. Normally Rice Crispie treats is not where I would usually land, but I was up for something exactly like this. Cooking Light had a whole section of these with all sorts of different options, and we decided to give one a try. These were exactly what the doctor ordered – and the girls were super happy about having these in their lunches. Ok – I have to go catch my flight – can’t wait to see what food is in store for me this week! Melt butter and marshmallows over medium-low heat. Add the cocoa into the melted marshmallows and cook for 3 minutes. Add cereal, and toss well to combine. Press cereal mixture into a 13×9-inch pan coated with cooking spray. Heat chocolate in microwave at HIGH for 30 seconds, stir, and repeat until completely melted. Drizzle over cereal mixture. Chill 10 minutes before slicing. I made it – I actually dove into the pool and survived. Yes, I have entered the 21st century, and the world has not come to an end. I can’t believe what a breeze it was to use Windows Photo Gallery for my entire photo editing process. I can’t believe how many hours (probably days) I have lost moving from program to program. I am shaking my head as I am typing. Pretty soon I will have my new wireless printer (that actually is wireless) and nothing will stop me. That is…until September. That is truly when the world will come to an end. Tonight I took my older daughter to the Middle School open house. Wow. That is just about all I can say. Wow. (Moms – any guesses on where that is from?? Yes, just about the greatest book ever.) Chaos – that’s exactly what it was – in one word or less. Before we left, she asked me if she should bring her cell phone in case we get separated. What?? Of course we will not get separated. Right. There were more people in that school tonight than I ever could have imagined. At one point I thought I was going to lose it – I hate crowds. Then we both had a little freak-out session in the car on the way home, except that I pretended to be nice and calm, like a good mom should – and I let her freak out about how it is going to be so crowded, and so hard to find all the classes, and what if my locker sticks? Then I told her about our dear friend and neighbor down the street – who couldn’t get into his locker for the first week of school, and had to carry all of his books around the entire week – including his lunch – and then one night told his mom he wasn’t going back to school. That made her feel better – good job mom. So – what is just about the only thing that can make anyone feel better after that? 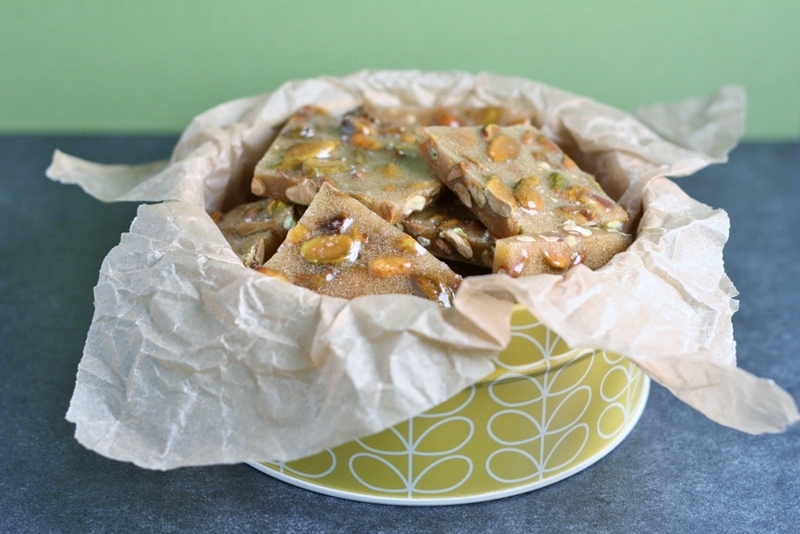 Salted Pistachio Brittle. This stuff is like crack, not that I have ever tried that – but it is ridiculously addicting, and amazingly delicious. You can’t just have one bite, oh no sir-e-sir. Good thing I had a nice pile to come home to. 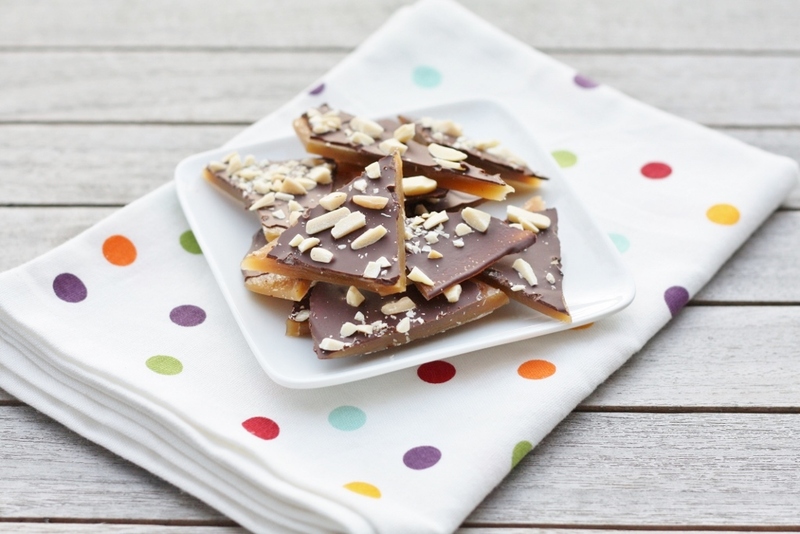 This recipe from Bon Appetit is just about the best candy I have ever made – and just about the easiest. No rolling caramel wrappers, you just break and serve. I feel better already. Here we go – the world is changing so fast, and my girls are growing up – but there will always be salted pistachio brittle in my life – that I know will be true. Please remind me of that in September – I am definitely going to need some then, as I kiss my baby good-bye that fall morning…and let her into that chaotic world. Wow. Using a heat-proof spatula, stir in pistachios, butter, and kosher salt (syrup will seize initially, but will melt as it heats back up). Continue to cook syrup, stirring often, until thermometer registers 300° and pistachios are golden brown, 3-4 minutes. Caramel should be pale brown (it will darken slightly as it cools). Sprinkle baking soda over and stir quickly to blend caramel thoroughly (mixture will bubble vigorously). Immediately pour caramel onto pre-pared baking sheet and, using a heat-proof spatula, quickly spread out as thin as possible. Sprinkle sea salt over and let caramel cool completely. Break brittle into pieces. 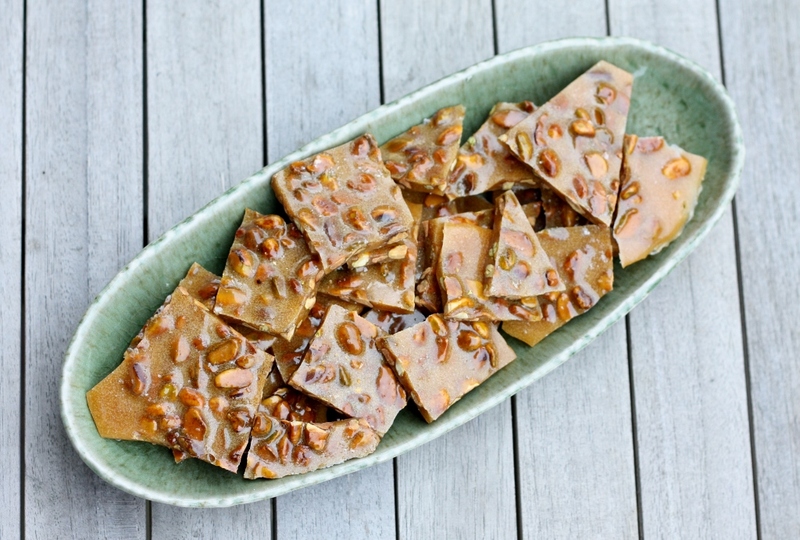 DO AHEAD: Brittle can be made 1 week ahead. Store airtight between sheets of parchment paper (to prevent sticking) at room temperature.